It’s not everyday that I get kicked out of a hotel. It’s not everyday that the hotel is actually an island. And it’s not everyday that two billionaire families join in marriage and decide to take over Mumbai and Udaipur. This is what happened. 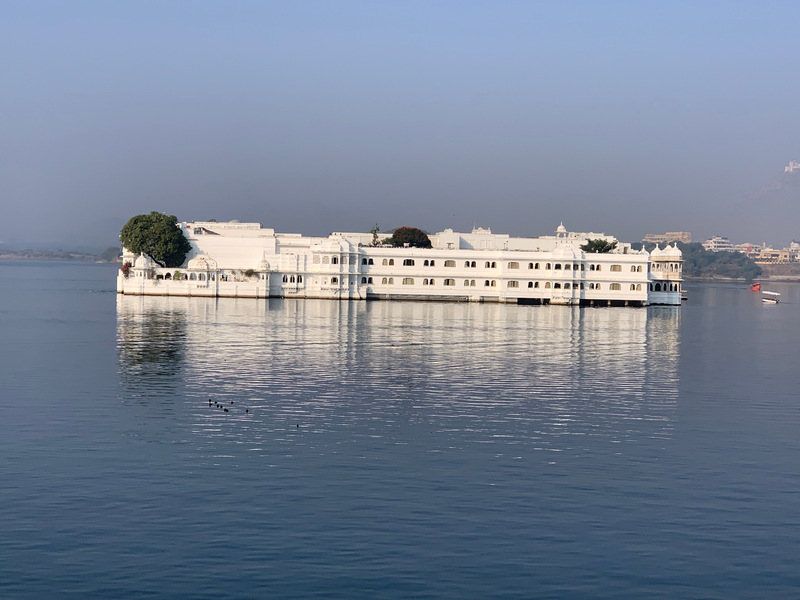 We flew from Mumbai to Udaipur, India and arriving after sunset finally settled down in one of the most beautiful hotels I have ever seen – the Taj Lake Palace. Originally built as a summer palace for the Maharana Jagat Singh in 1746, the Taj Lake Palace sits on Lake Pichola, spans 4 acres, has 83 rooms and suites and it only accessible by boat. 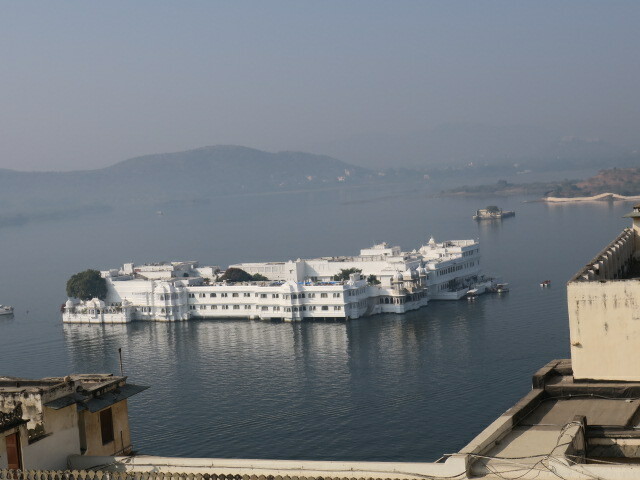 The original plan was to stay at this magnificent hotel for three days, but just before we left the states we got word that *someone* had taken over not only the Taj Lake Palace, but pretty much every hotel in Udaipur so we had to spend the third night in another hotel, the RAAS Devigarh. More on that fateful stay in another post. We were not invited to the wedding – these photos are from the internet. Not only was our hotel commandeered but the wedding parties also took over some major Udaipur historical sites (and tourist attractions) including the City Palace. I will talk about this beautiful complex of marble palaces and galleries in another post. 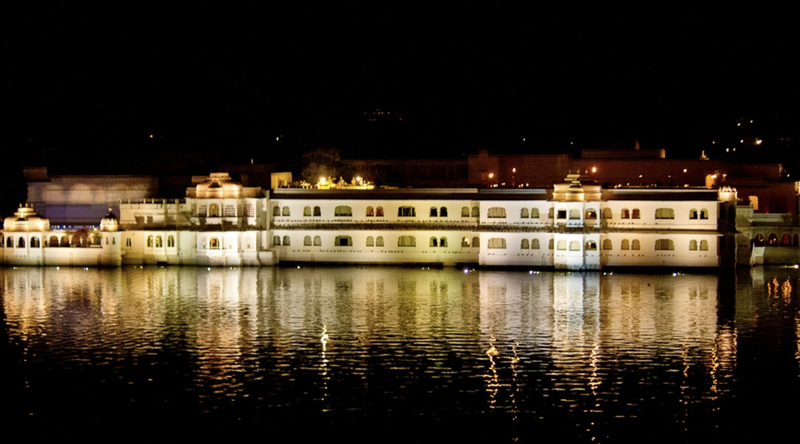 One might think that despite having these sites closed off from tourists, the setup for the wedding reception and parties might produce a monetary boon for Udaipur workers. Nope. 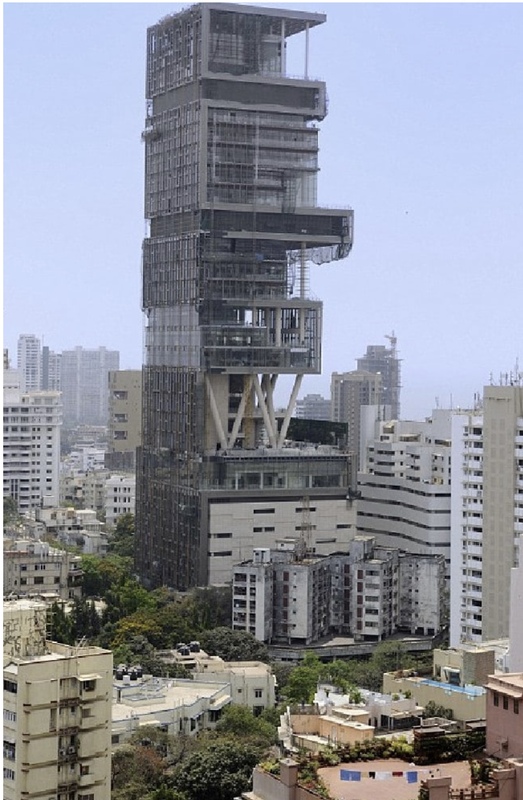 The Ambani’s brought in non-locals for all the labor involved. In addition, the imported workers paid little heed (in our viewing) to avoid damaging the grounds of the City Palace grounds, etc. as they built platforms and other wedding reception paraphernalia. 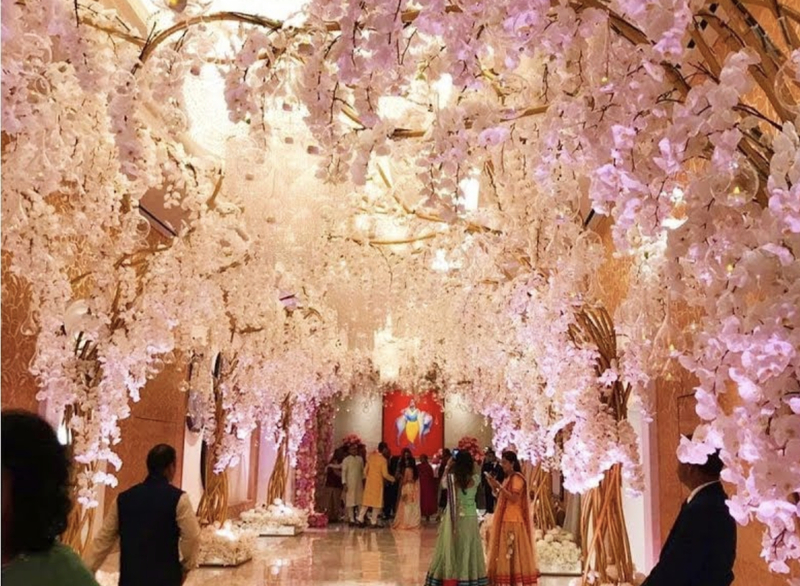 Consider that the estimated spending for the wedding was $100 million. 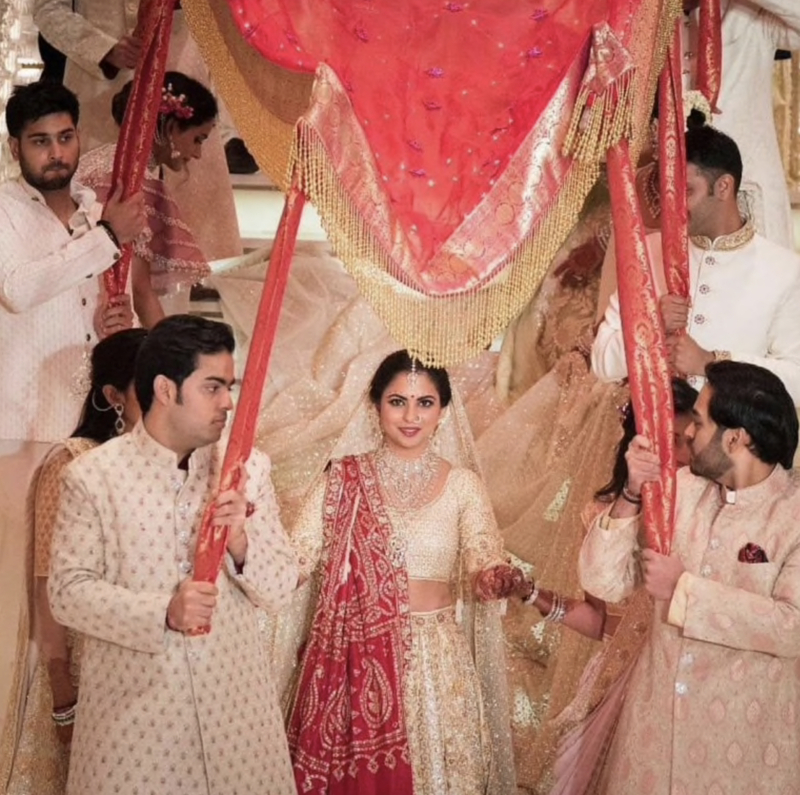 Interestingly despite all this opulence and gluttonous, conspicuous consumption, the marriage of Isha and Anand was arranged in the age-old custom followed by up to 90% of Indian families. This custom dates back to the beginnings of Hinduism in 500 BC. Marriages have traditionally been arranged by parents of the same caste (more on the caste system in another post) in different villages for their children who have never met. Ads are even put on social media sites and newspapers etc to look for potential mates based on suitability – caste, looks, ability to care for home and children for brides and income prospects for the groom, Romance places little to no part. Only 1 in 1,000 arranged marriages in India result in divorce as compared to 44% of American marriages, so one must agree this system appears to work. 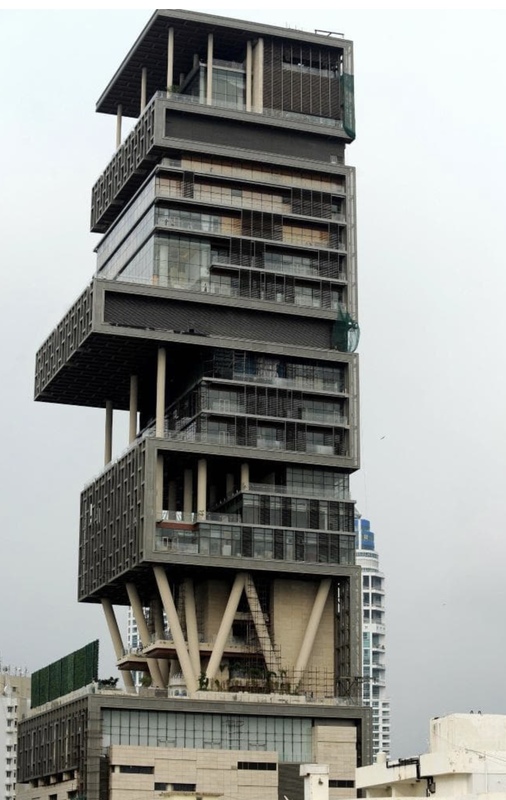 Having big bucks like the Ambanis and Piramais also must be a deterrent to divorce – imagine the pre-nup.. The Albani/Piramai weddings’s lack of concern for the locals they displaced is actually the exception rather than the norm. 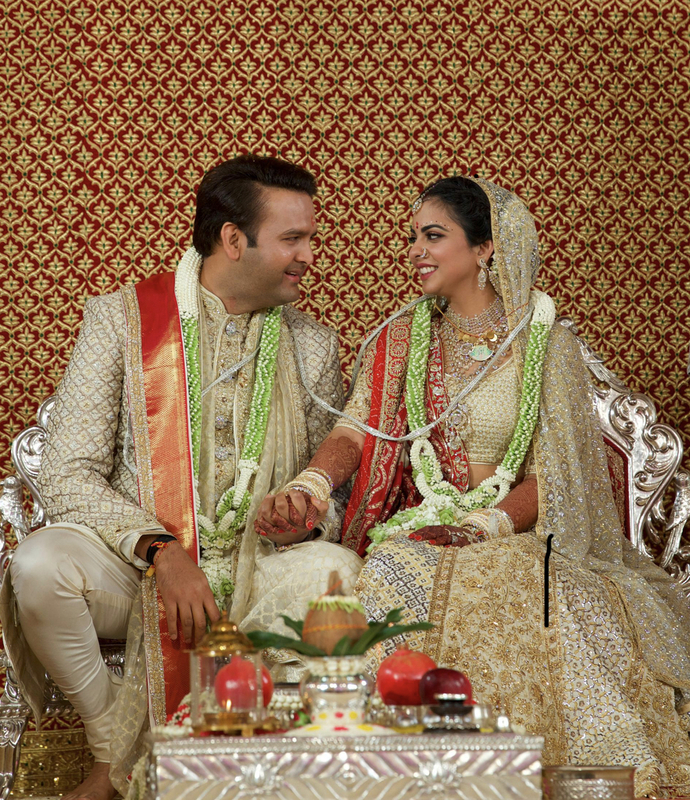 Usually a Hindu wedding envelops the entire community in rituals and celebrations. They are quite hypnotic and emotional and deserve a post of their own – to follow next week. 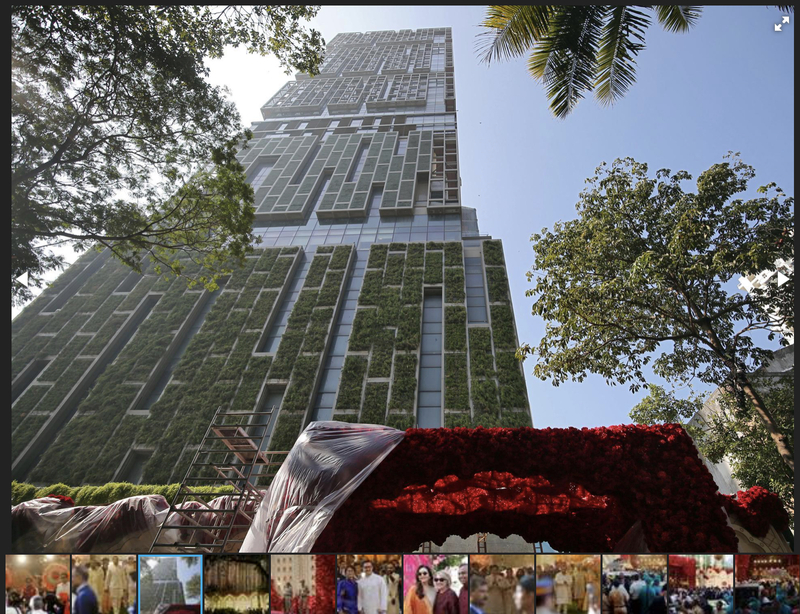 This entry was tagged AMBANI, ANTILIA, ARRANGED MARRIAGES, BILLIONAIRE, INDIA, MUMBAI, TAJ LAKE PALACE, TRAVEL, UDAIPUR. Bookmark the permalink. Thanks Elly – it still astounds me that any one family could just totally take over big cities without compensation to the citizens – but a happier, more spiritual look at Indian arranged marriage is coming next week! Wow what an experience. Look forward to the following stories. Thanks for all the wonderful photos of the wedding,etc. Enjoy all the details you add. Thanks Marcy – I so appreciate your reading and comments! Thanks, Deb – am enjoying reliving our adventures as I write! This really makes me sad as an Indian. I know what inconvenience such events including weddings, birthdays or even funerals of the rich and powerful people cause. These things can make a city like Mumbai come to a halt sometimes. When you consider our divorce rate of 40 to 50%, it makes you wonder who has the better system. When you remember that Bill Gates, Jeff Bezos and Warren Buffett have more wealth than half the population of the US combined. You can think that taking over a city is nothing. It isn’t the 1%, but the 1% of the 1% that can do what they want. ,, Well Jeff may have stepped on it with girlfriend, but you see what I mean.